MY COLLECTION AUTOGRAPHS IS FOR SALE !! Very interesting autosport autograph collections for sale !!! 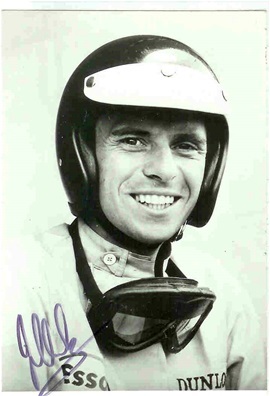 I started collecting F1 autographs in 1963, mostly very active but there were also a few years that I was not so active. I now reached the age to make my decisions for the future. One of the decisions which I made was to stop collecting F1 autographs. Beside the F1 I also have many autographs of F2, F3, Le Mans, Indy, A1, (GPM Grand Prix Masters), WRC (Rally) etc. etc. Many books, posters etc. etc. I prefer to sell my wole collection to 1 person, private or dealer, when this will not be possible than I will start to sell it as seperated items. My whole collection is stored in an office building which is less than10 kilometers away from my house, but when you are really interested I can send you the lists with all the information. I will collect all reactions till mid/end of April and hope to make a final decision before mid May.